My cousin has been extracting fossils from a piece of Carlile Shale Formation matrix. It was found in Grant County, South Dakota, USA. 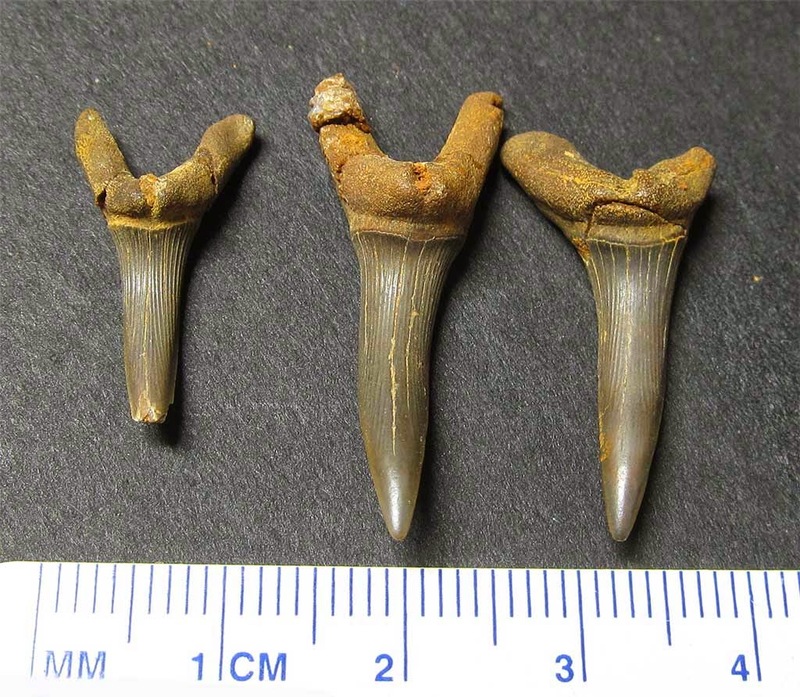 He has been slowly breaking it down to reveal the hidden fossil shark teeth. 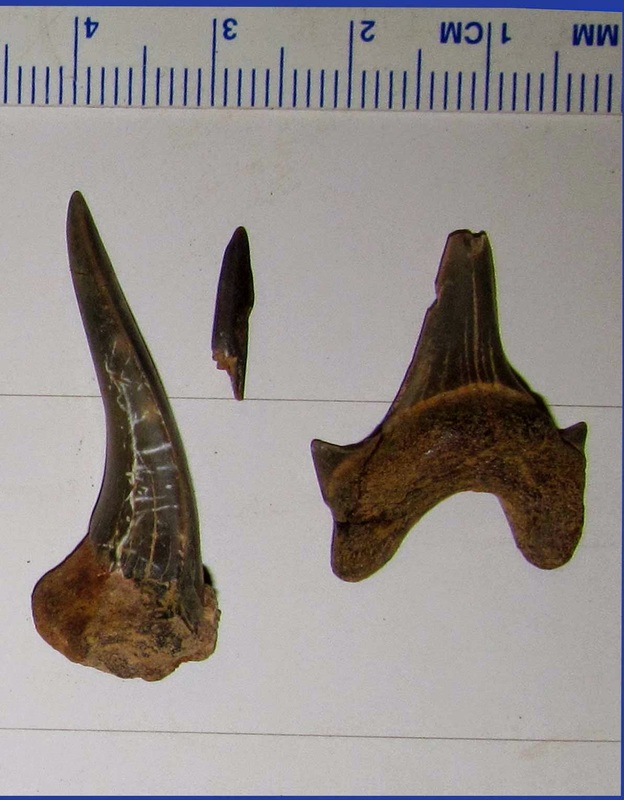 The fossils date to the Cretaceous Period (Turonian). 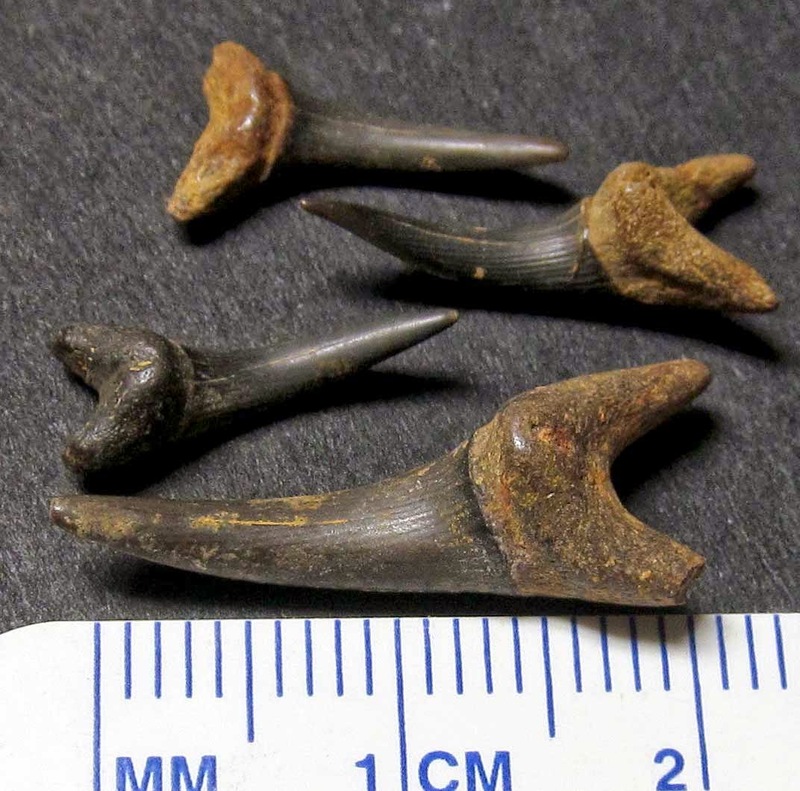 The picture shows Scapanorhynchus raphiodon shark teeth fossils. 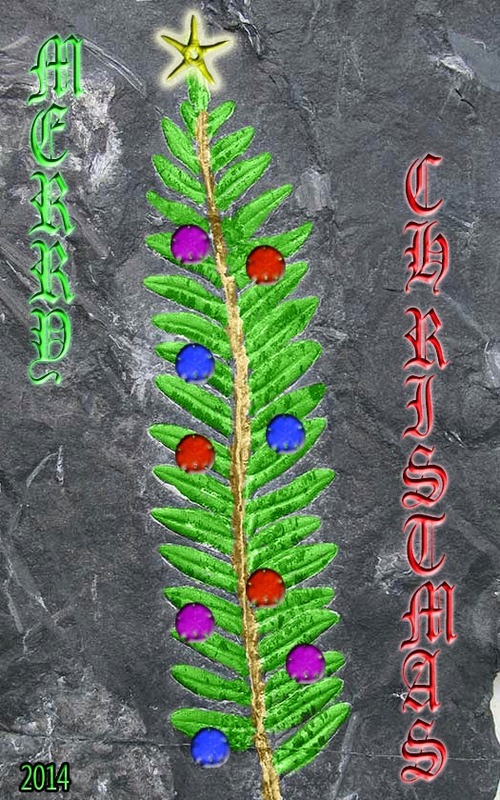 I hope anyone reading this has a Merry Christmas. May the new year bring good health and fun fossil finds! This year's design features three fossils. 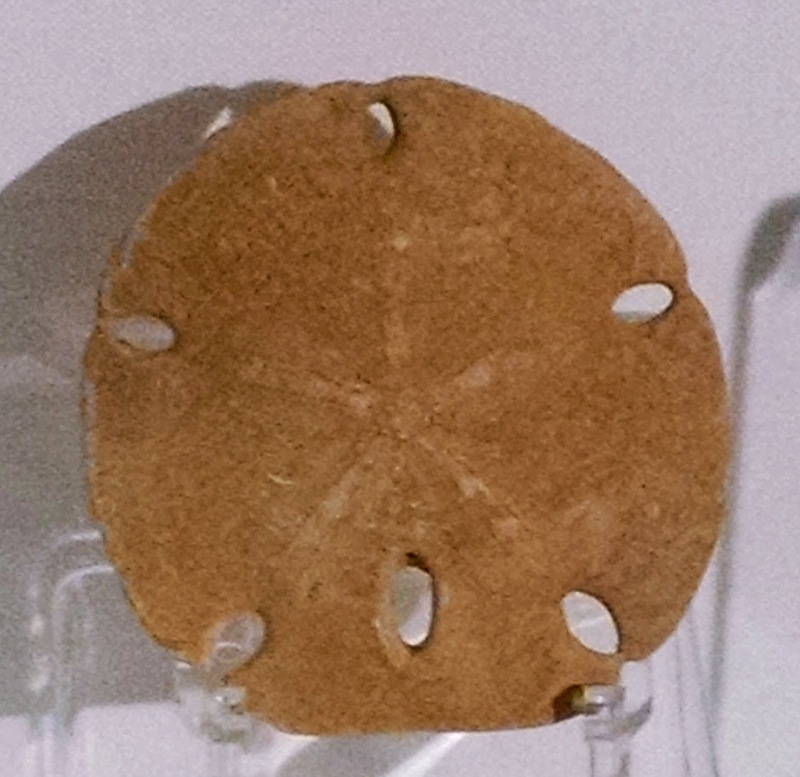 A fern fossil from Pennsylvanian Period for St. Clair Pennsylvania, a Pliocene sand dollar fossil from Mexico makes up the ornaments, and the star consists of a Cretaceous shark teeth from South Dakota. 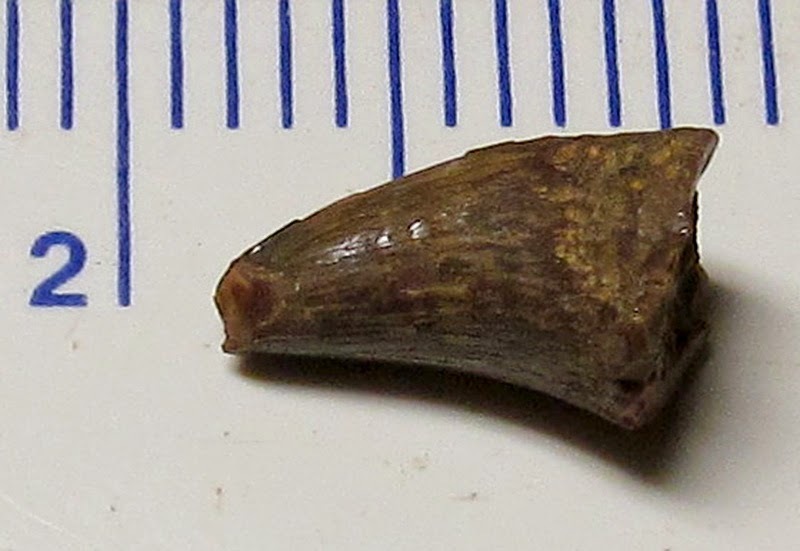 South Dakota Mosasaur Fossil Tooth? My cousin has been extracting fossils from a piece of Carlile Shale Formation matrix. It was found in Grant County, South Dakota, USA. He has been slowly breaking it down to reveal the hidden fossil teeth. 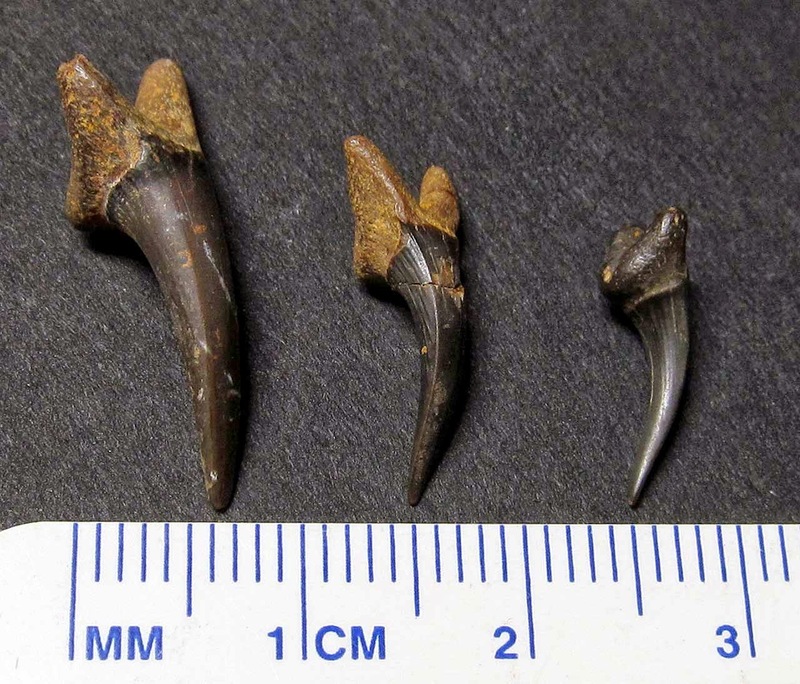 The fossils date to the Cretaceous Period (Turonian). 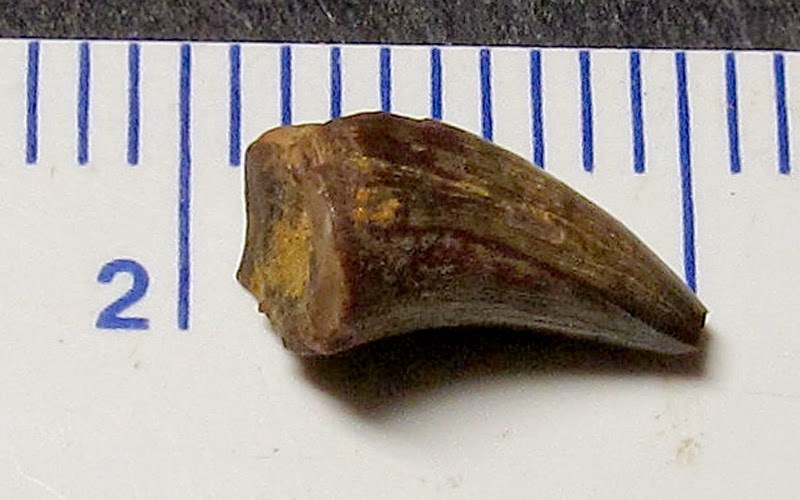 The picture shows what might be a mosasaur fossil tooth. Each scale division is a mm. 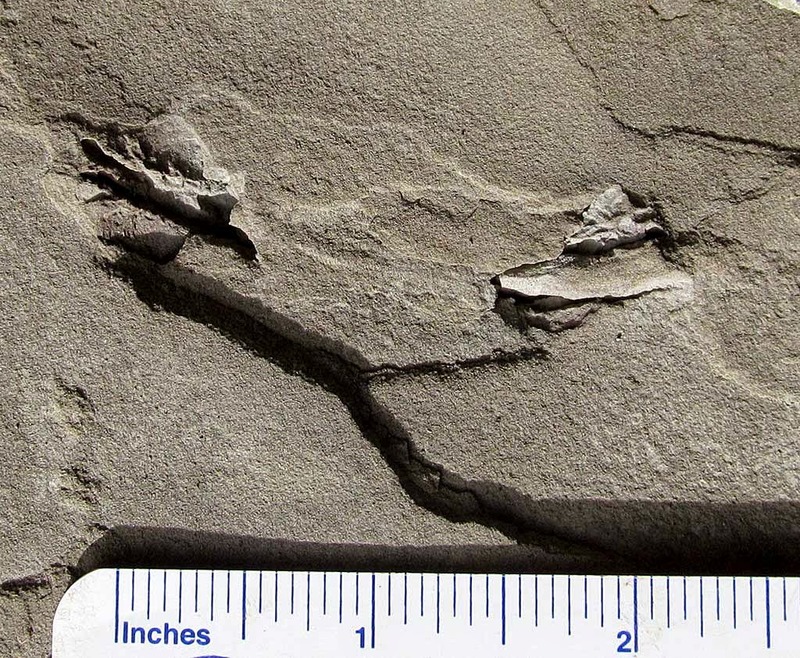 This fossil was probably found in the Pierre Shale Formation of Glendive, Dawson County, Montana, USA. It dates to the Cretaceous Period. Image was taken in October 2014. 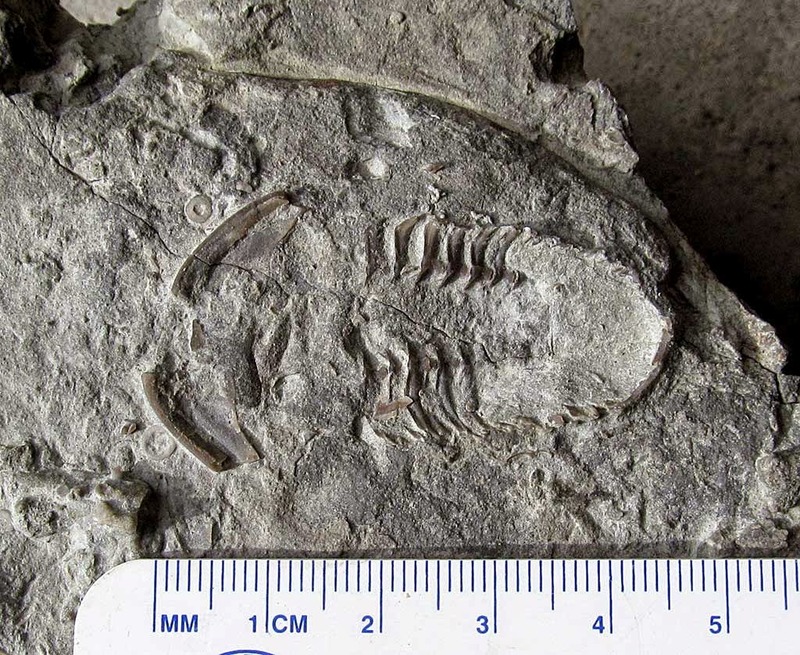 Image of a Harpes perradiatus trilobite fossil. This creature existed in the Middle Devonain Period. While visiting the Gallery of Natural History at the Arizona Historical Society Museum at Papago Park (1300 N. College Ave, Tempe Arizona 85281) I saw this fossil specimen (AHS-NH#20671). It was found in what is now Alnif, Morocco, North Africa. 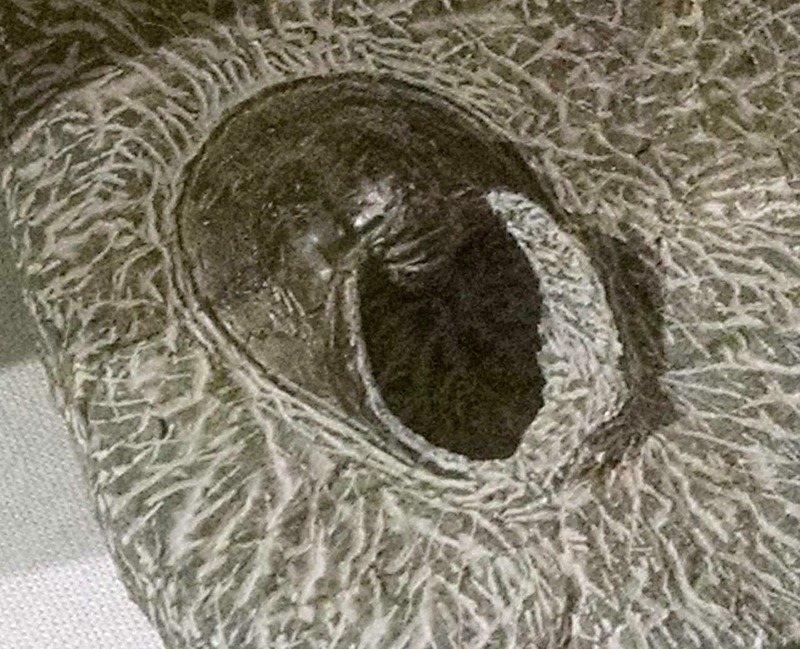 Images of museum specimen taken October 2014. My cousin recently received some matrix from the Carlile Shale Formation of Grant County, South Dakota, USA. 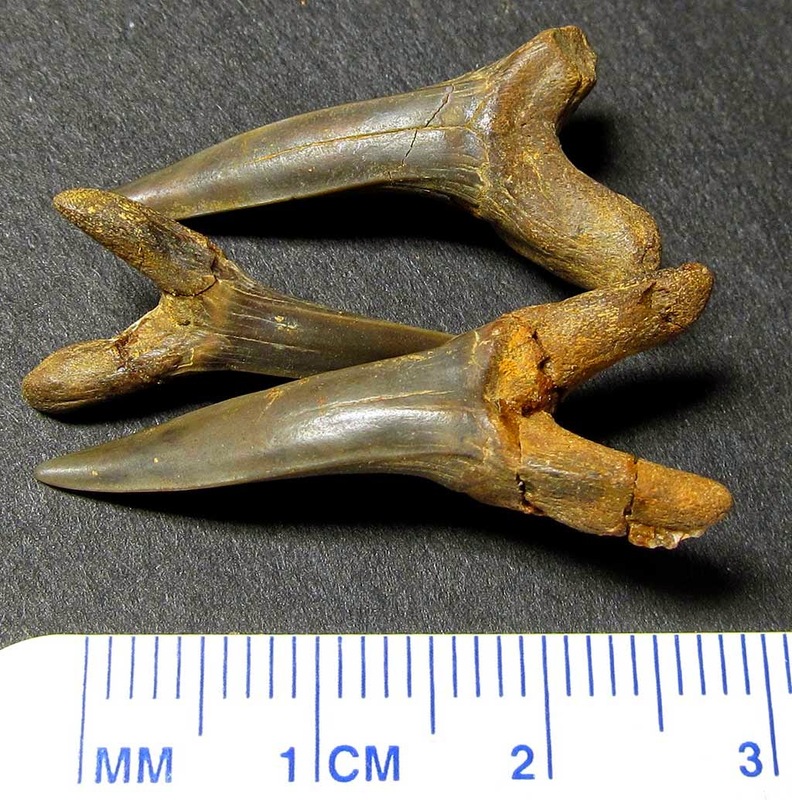 He has been carefully breaking it down to extract the hidden fossil shark teeth. The fossils date to the Cretaceous Period (Turonian). We have been trying to identify what they are. So far names I am considering are Leptostyrax, Cretalamna (Otodus), and Cretodus. Back in January 2014 I wrote about How To Be A Megalodon Shark which was about the popular smartphone game Hungry Shark Evolution. In that posting, I was hoping they would create an arthrodire or mosasaur creature to play in the game. 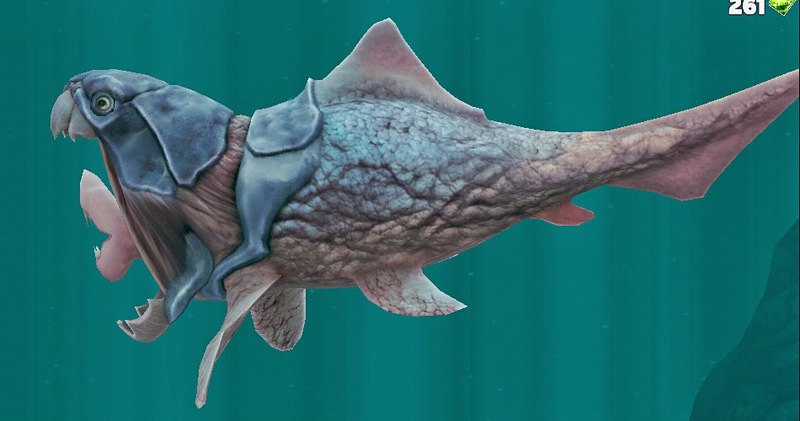 Well they have created a Dunkleosteus. It is one fearsome creature with some artistic gaming license added in. The creature has been given a double mouth with the inner able to project out like the creatures in the Aliens movie. It is somewhat creepy. 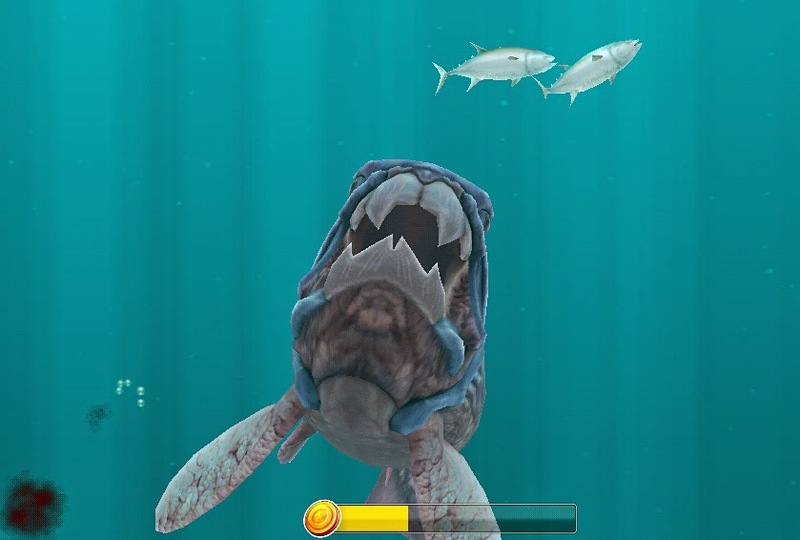 This game is mixing modern fish and sharks with fossil sharks Megalodon (Cenozoic Era) and the Dunkleosteus (Paleozoic Era - Devonian Period). The game designers did pick two of the more popular sea creatures that are shown in fossil sections of museums. 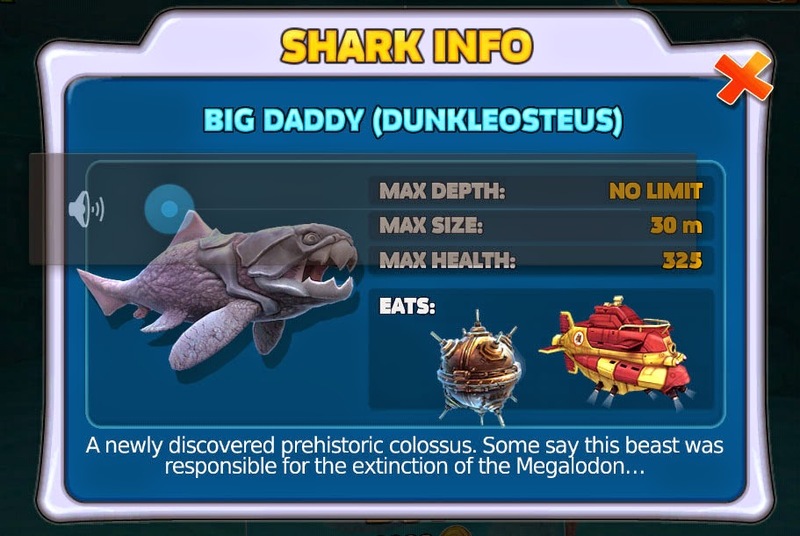 In the game the Dunkleosteus is the most powerful creature revealed so far but in reality the Megalodon was much bigger though not armored like the Dunkleosteus. The game info screen shown below is amusing by listing "A newly discovered prehistoric colossus. Some say this beast was responsible for the extinction of the Megalodon..." which means it can time travel. 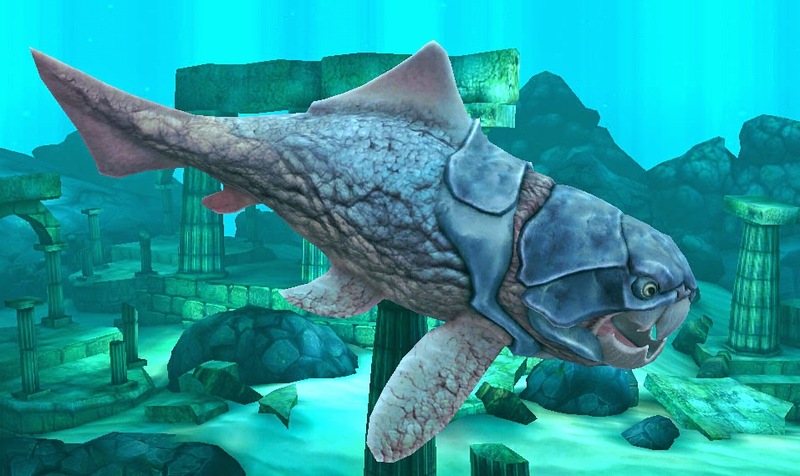 The Dunkleosteus was extinct by over 300 million years by the time the Megalodon made is appearance on the Earth. 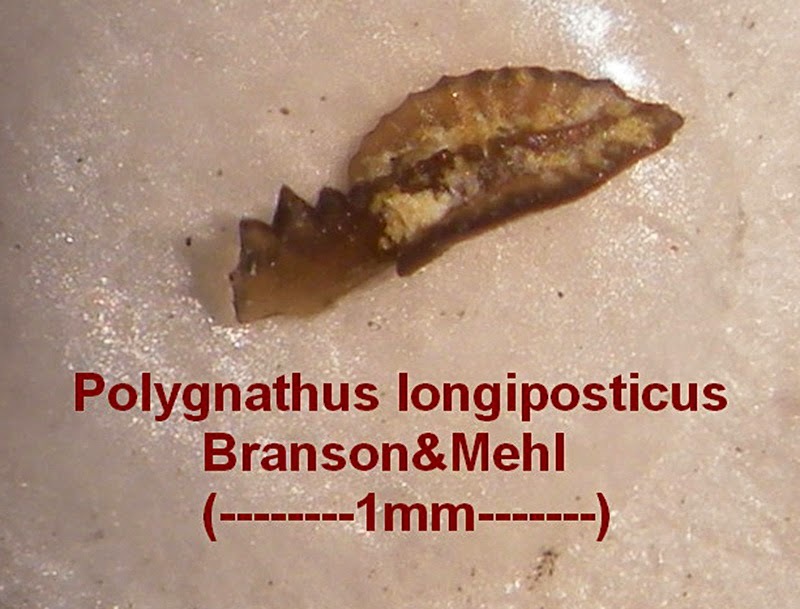 This image shows what appears to be a Polygnathus longiposticus conodont fossil. This creature existed in the Mississippian Period. 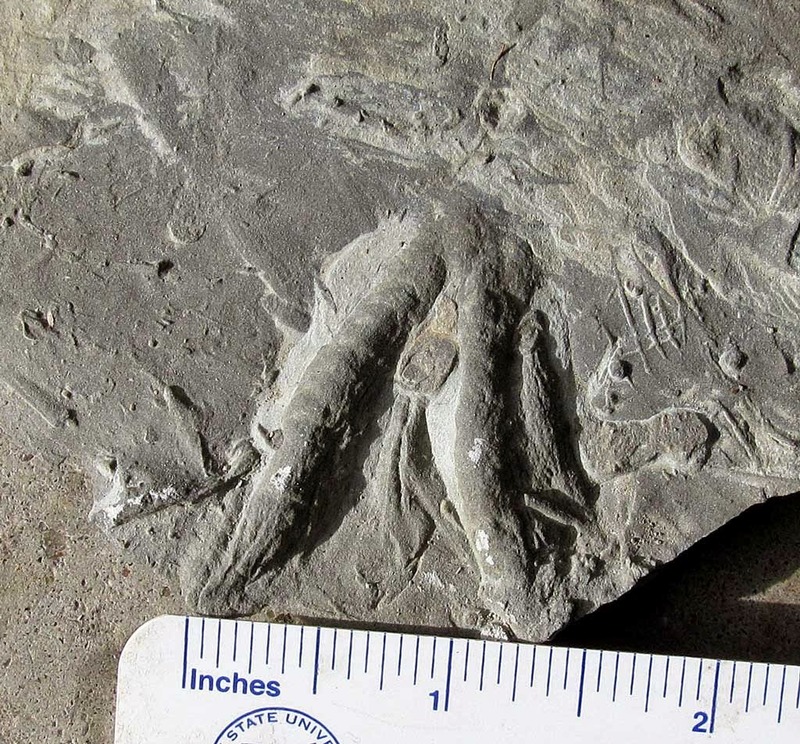 Fossil was found in the Jacob Chapel Shale of Clark County Indiana USA. 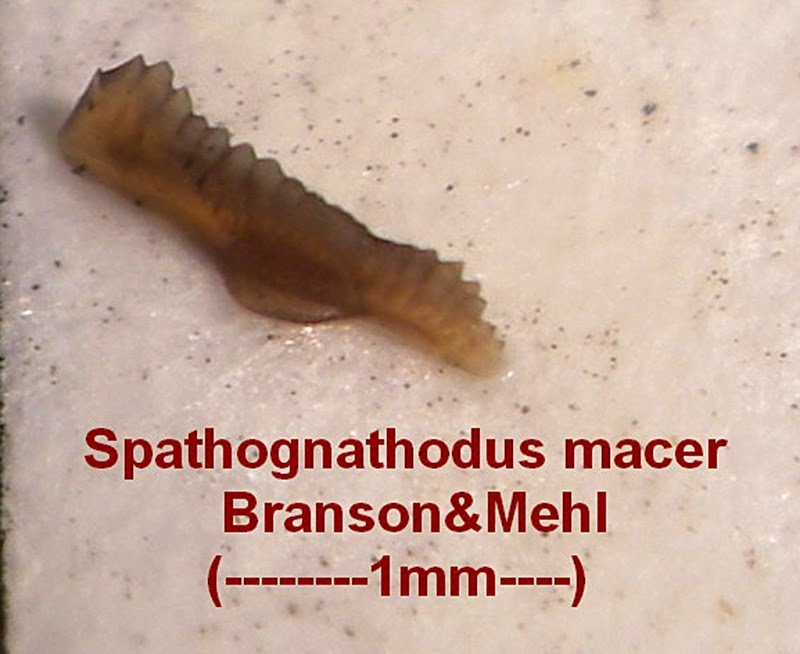 This image shows what appears to be a Spathognathodus sp. 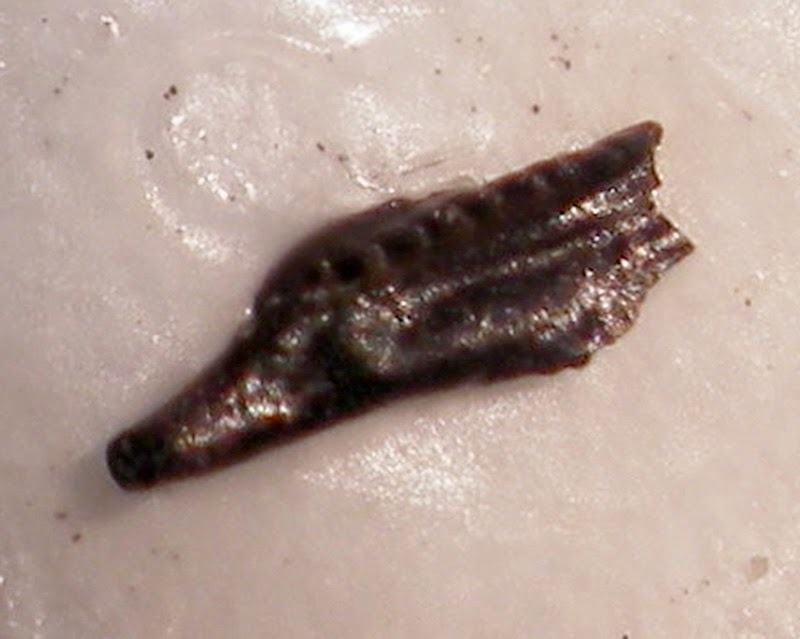 conodont fossil. This creature existed in the Mississippian Period. 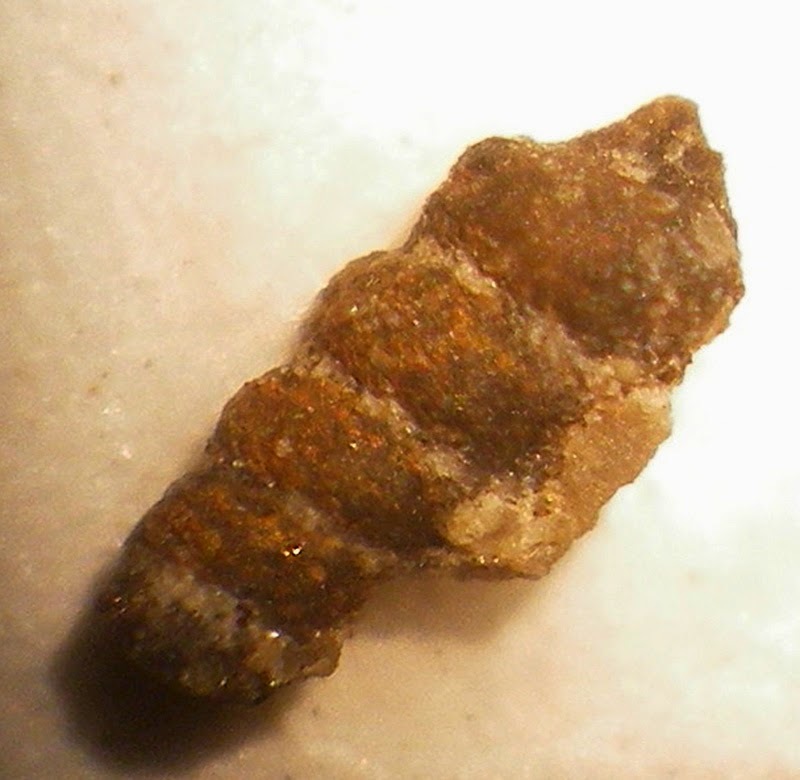 Fossil was found in the Jacob Chapel Shale of Clark County Indiana USA. 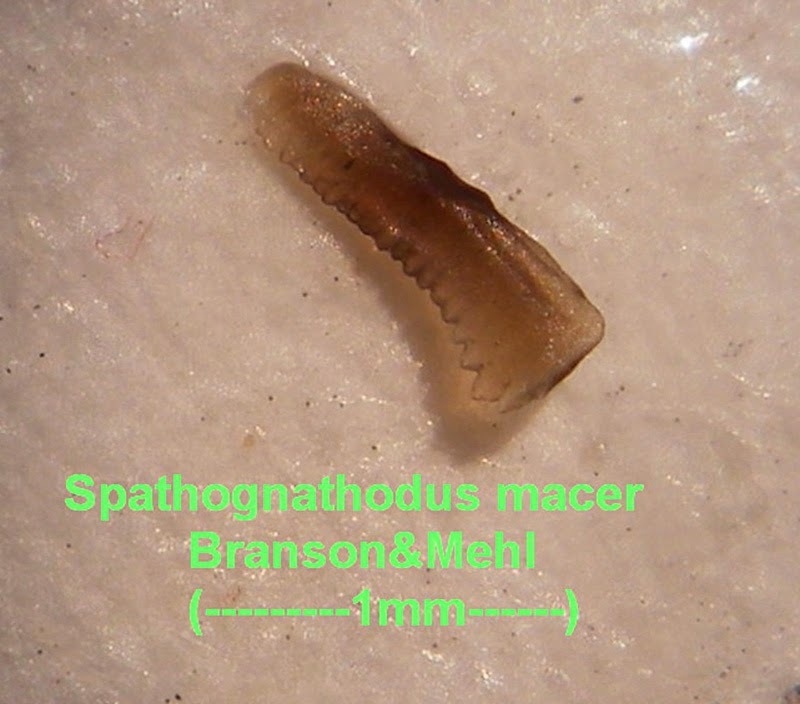 This image shows what appears to be a Spathognathodus macer conodont fossil. This creature existed in the Mississippian Period. 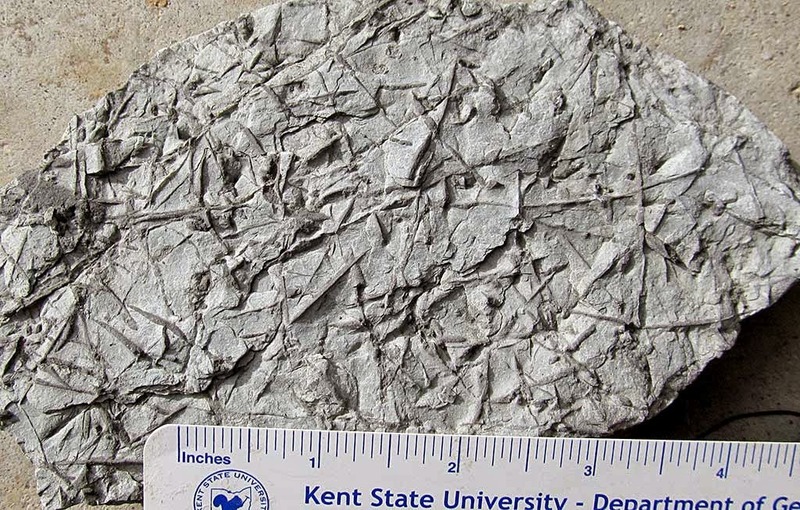 Fossil was found in the Jacob Chapel Shale of Clark County Indiana USA. 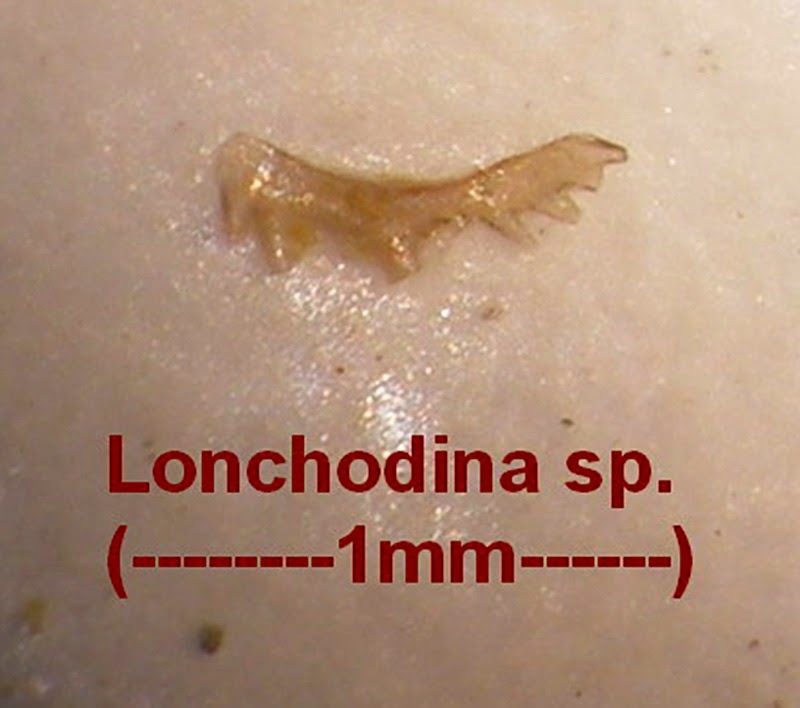 This image shows what appears to be a Lonchodina conodont fossil. This creature existed in the Mississippian Period. 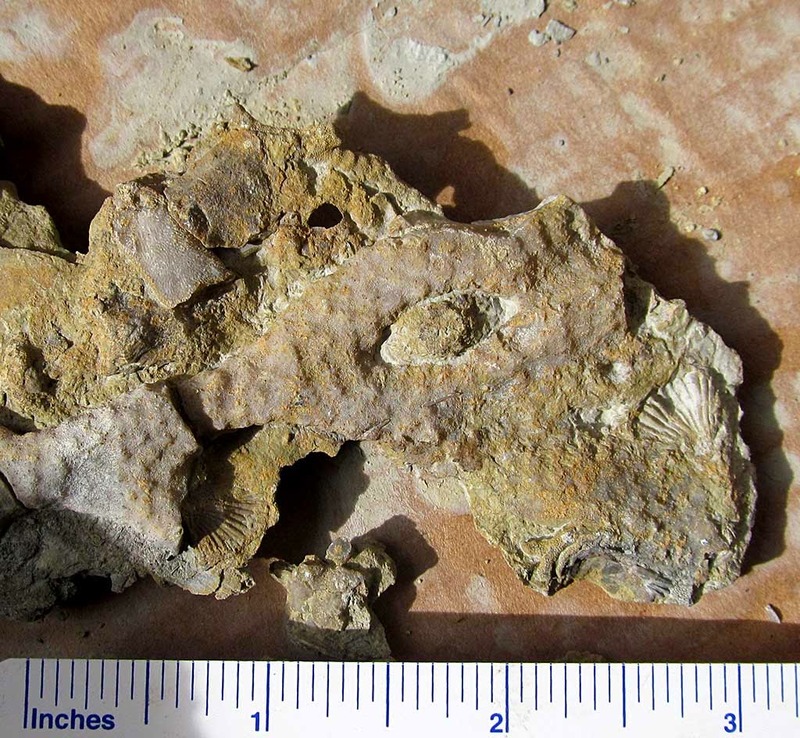 Fossil was found in the Jacob Chapel Shale of Clark County Indiana USA. 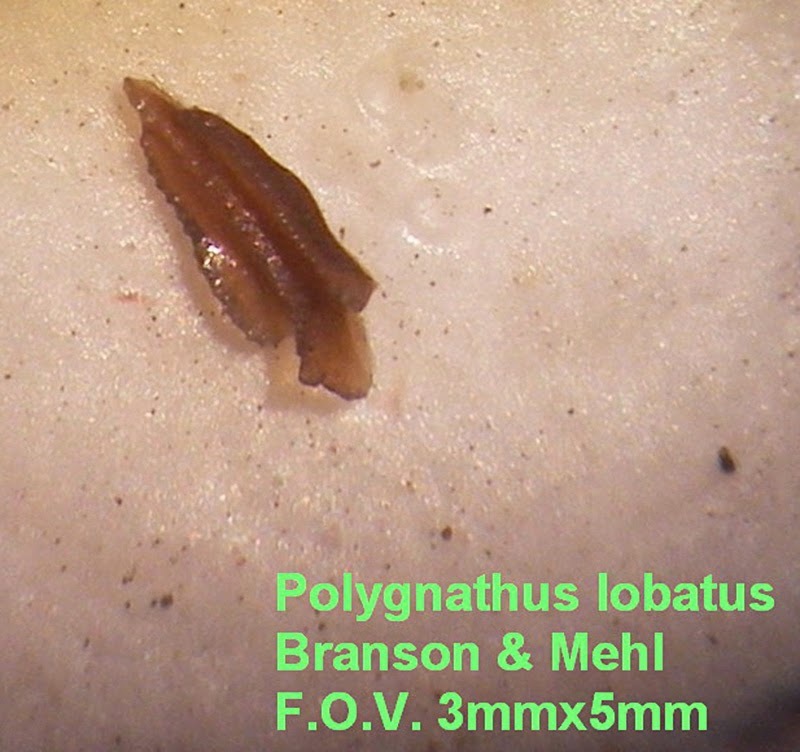 This image shows what appears to be a Polygnathus lobatus conodont fossil. This creature existed in the Mississippian Period. 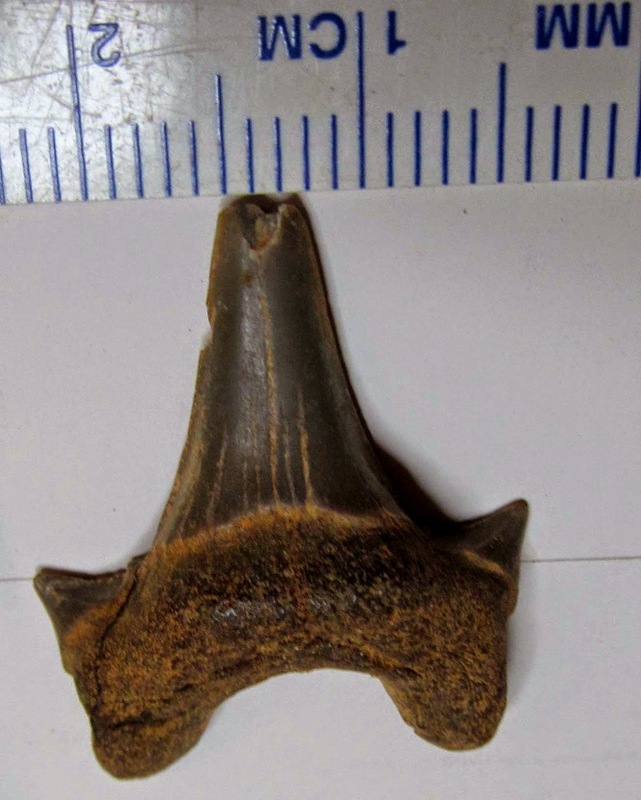 Fossil was found in the Jacob Chapel Shale of Clark County Indiana USA. 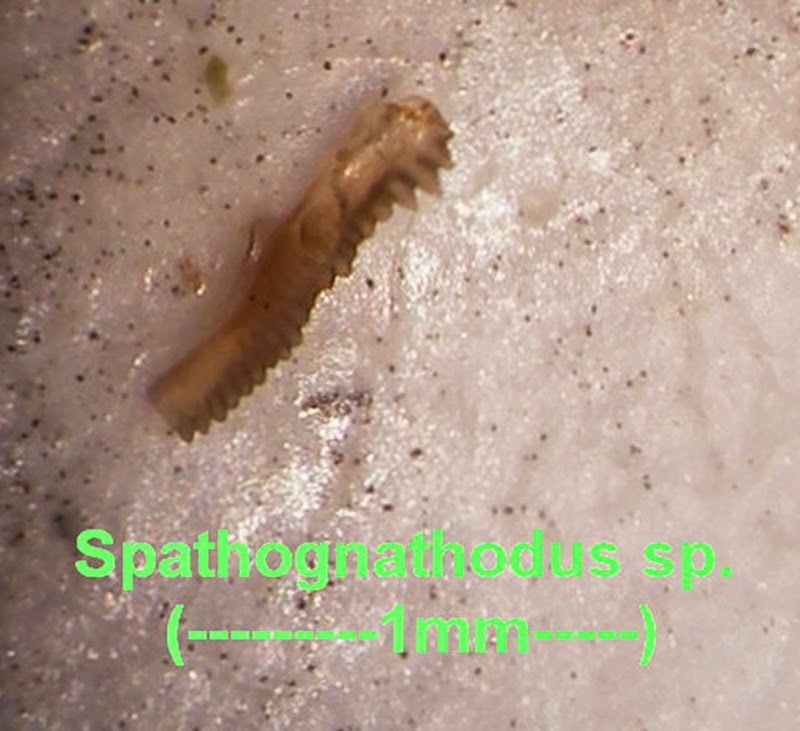 This image is of a microfossil fragment that appears to be an Atraktoprion scolecodont. 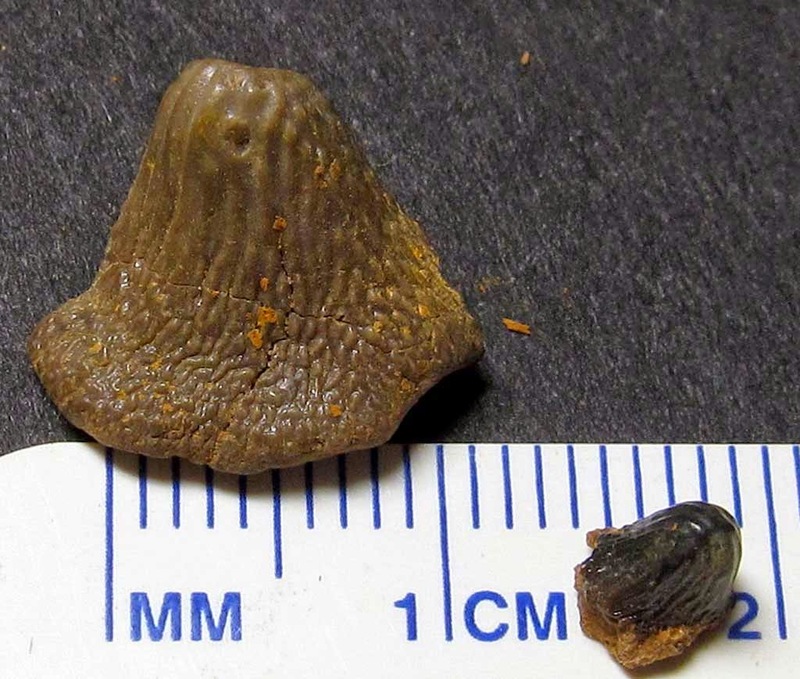 It was found in the Kope or Fairview Formations of Mason County, Kentucky, USA. The creature existed in the Ordovician Period. Field of view is about 1 mm. 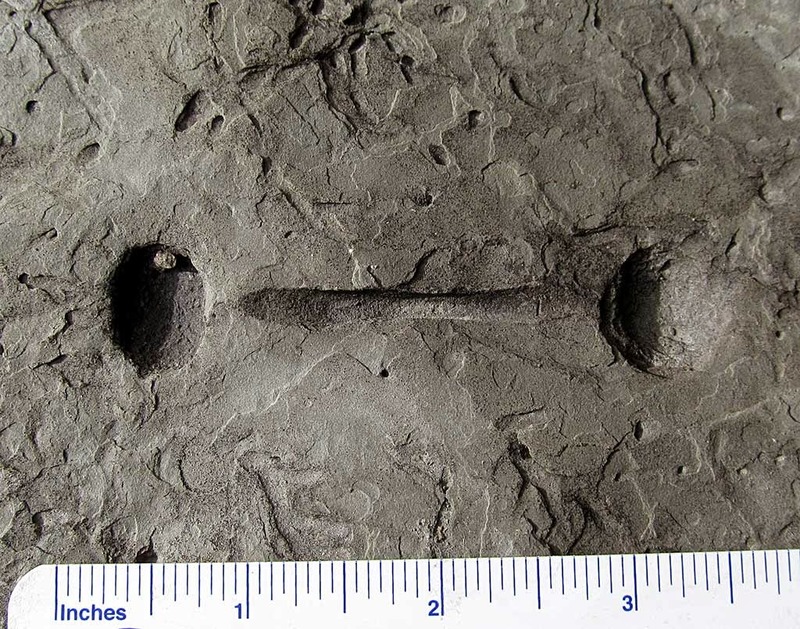 The microfossil in this picture appears to be a Loxonema yandellana gastropod (snail). 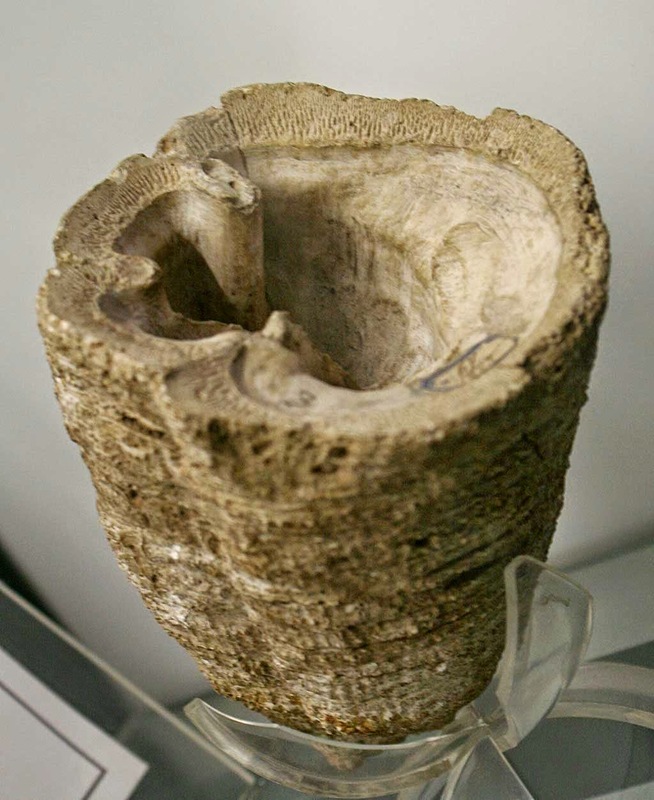 It was found in the Somerset Shale of the Salem Limestone of Meade County, Kentucky, USA. The creature existed in the Mississippian Period. 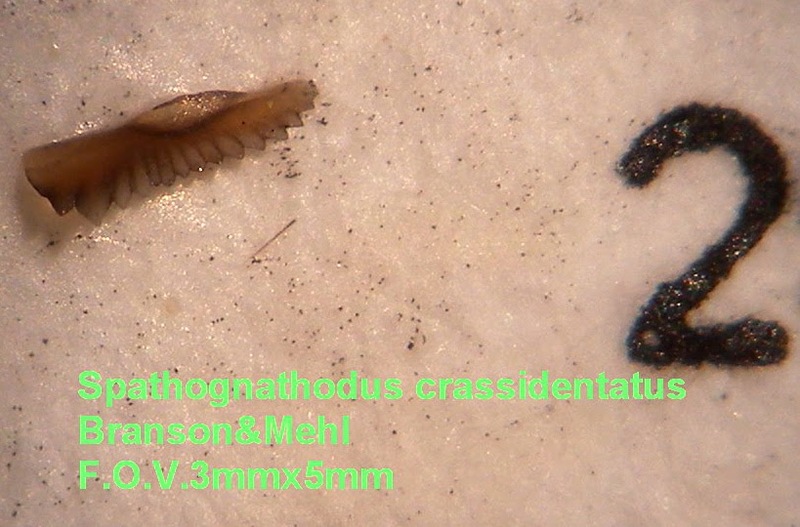 Field of view in picture is about 2 mm. 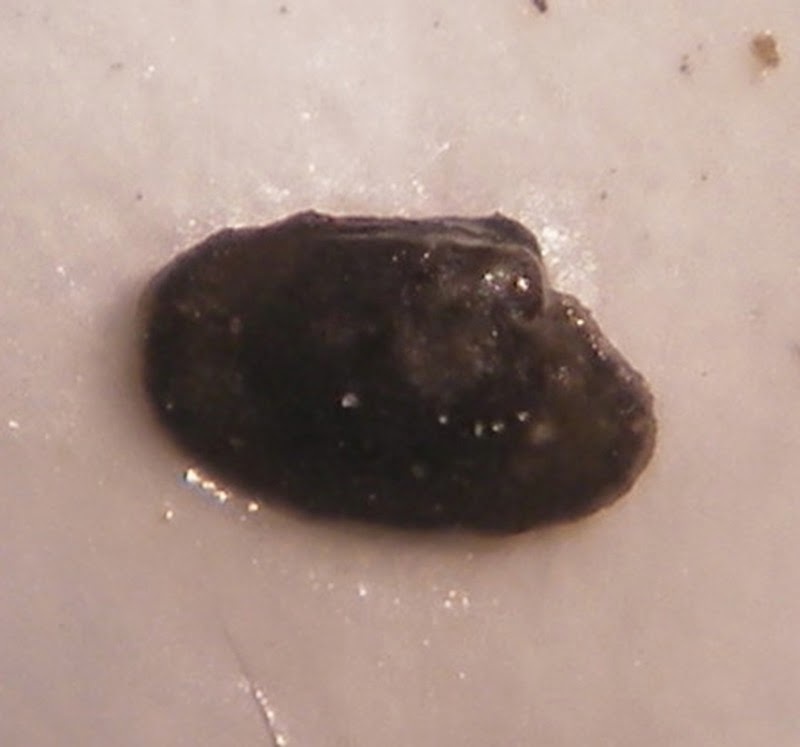 This image is of a microfossil that appears to be a Cleidophorus pelecypod. 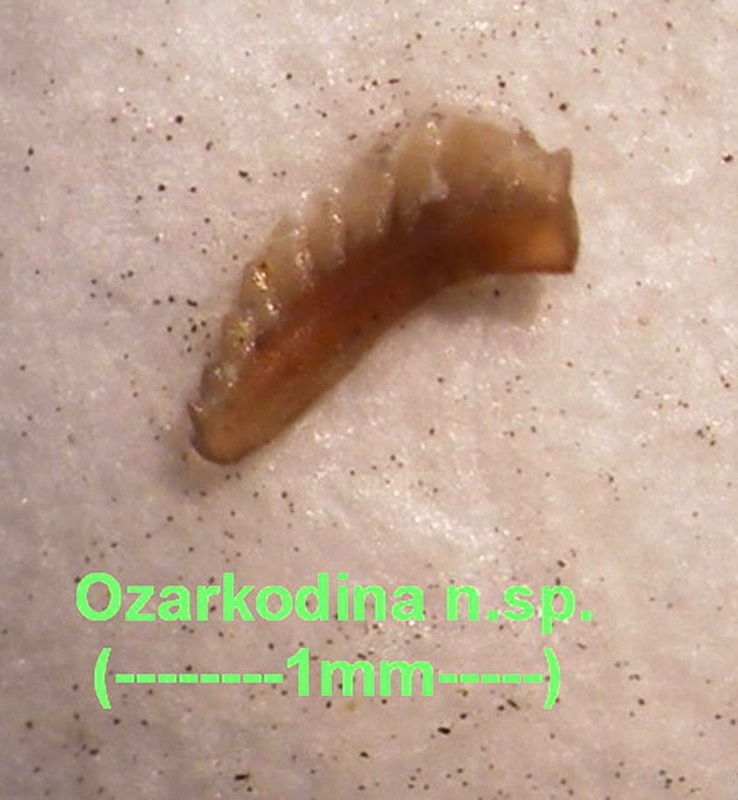 It was found in the Kope or Fairview Formations of Mason County, Kentucky, USA. 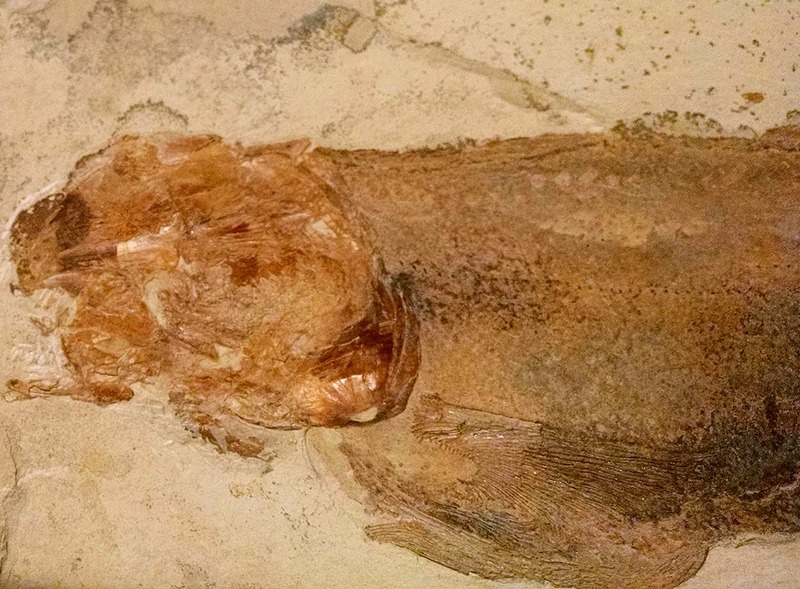 The creature existed in the Ordovician Period. Field of view is about 1 mm. While visiting the Arizona Historical Society Museum at Papago Park (1300 N. College Ave, Tempe Arizona 85281) I saw fossil specimen (AHS-NH#13056) from Navajo County, Arizona USA. 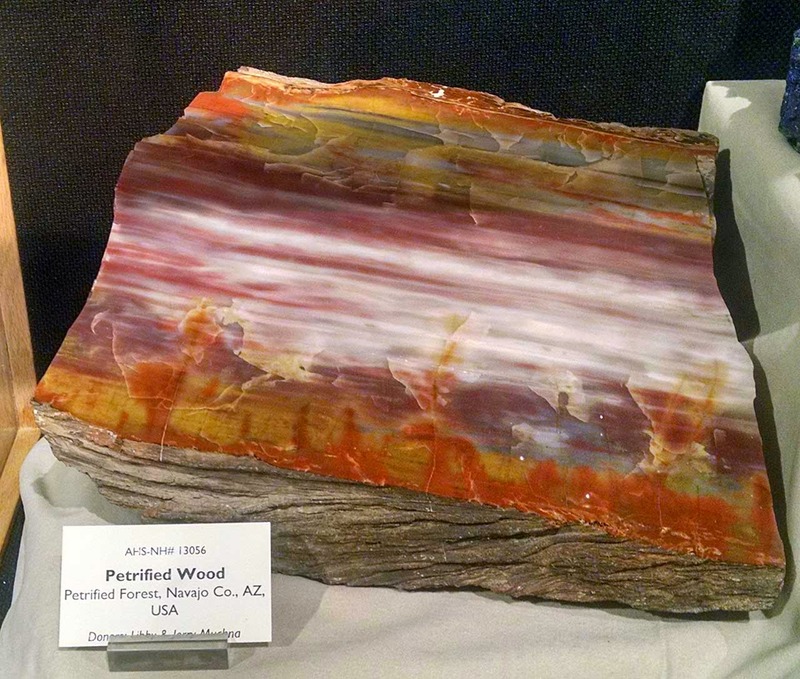 It is petrified wood. This plant existed in the Upper or Late Triassic Period. There are some really beautiful colors in this piece. The display is located right in the front entrance lobby as of October 2014. 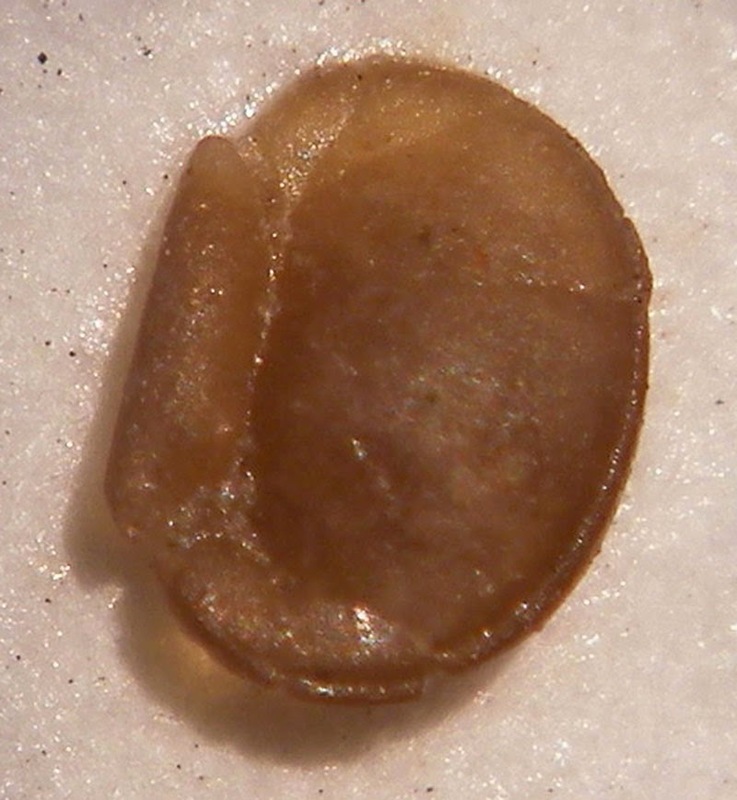 The fossil in this picture appears to be a Leperditia carbonaria ostracod. 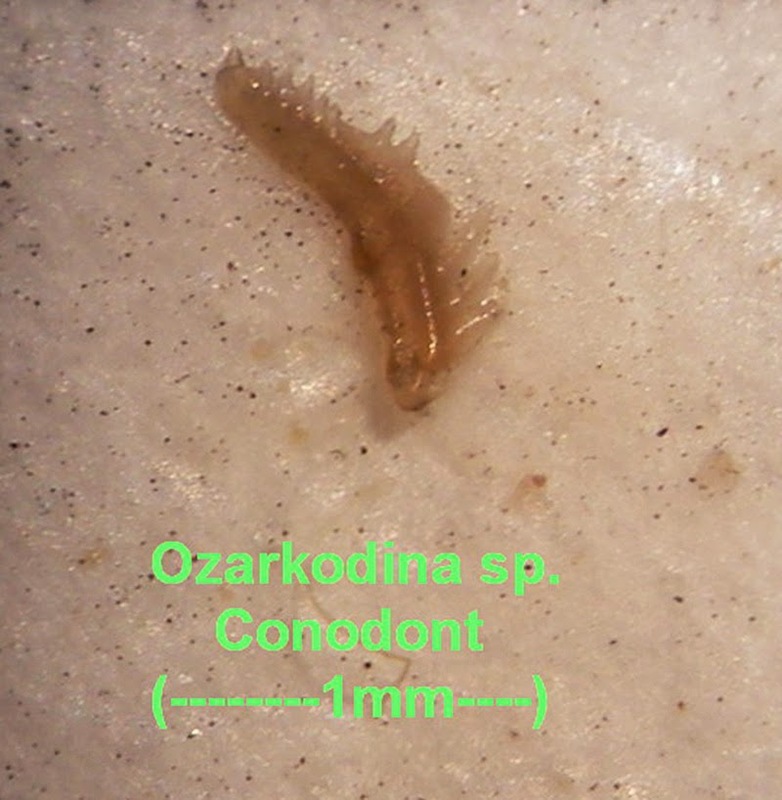 It was found in Meade County, Kentucky, USA. The creature existed in the Mississippian Period. Field of view in picture is about 2 mm. 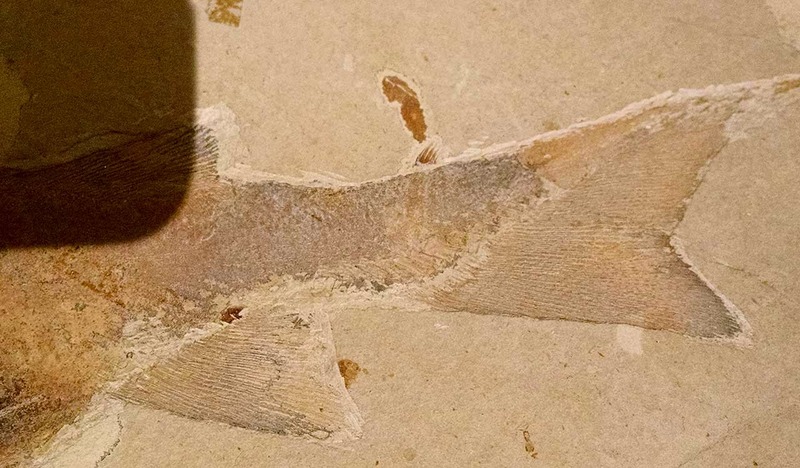 I saw an interesting fish fossil for sale at the Arizona Historical Society Museum at Papago Park gift shop in October 2014. The label said, "The Beipiao sturgeon was discovered in the area of west Liaoning Province of China. It was formed in land facies layer of the Late Jurassic Period. It was about 130,000,000 years ago." If I recall correctly, the length was over 20 cm and the price was $250. 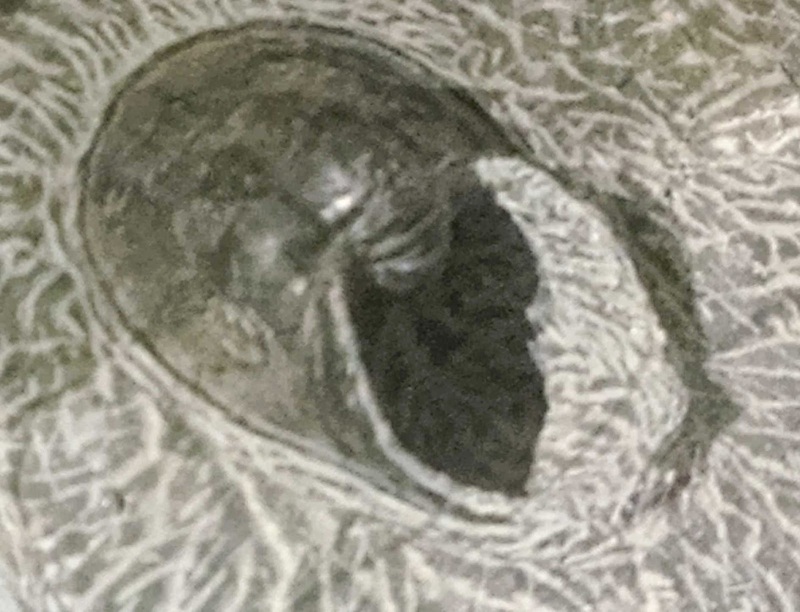 While visiting the Gallery of Natural History at the Arizona Historical Society Museum at Papago Park (1300 N. College Ave, Tempe Arizona 85281) I saw fossil specimen (AHS-NH#9854) Encope micorpora (Agassiz, 1841) sand dollar. Creatures like this are alive today and existed back to the Pliocene This one was found in El Golfo, Mexico. 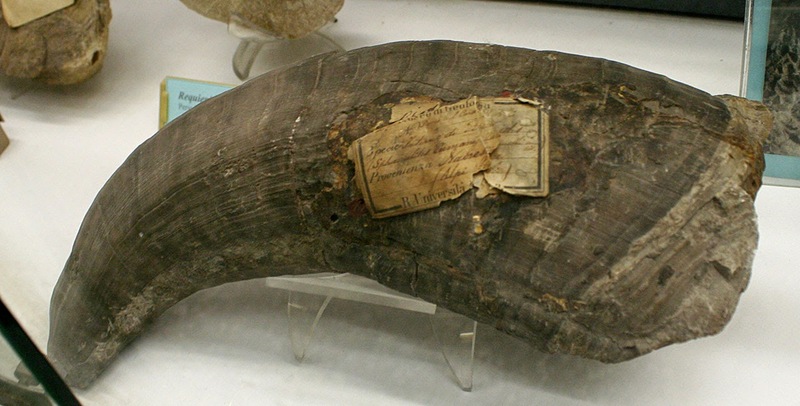 Image of museum specimen taken October 2014. 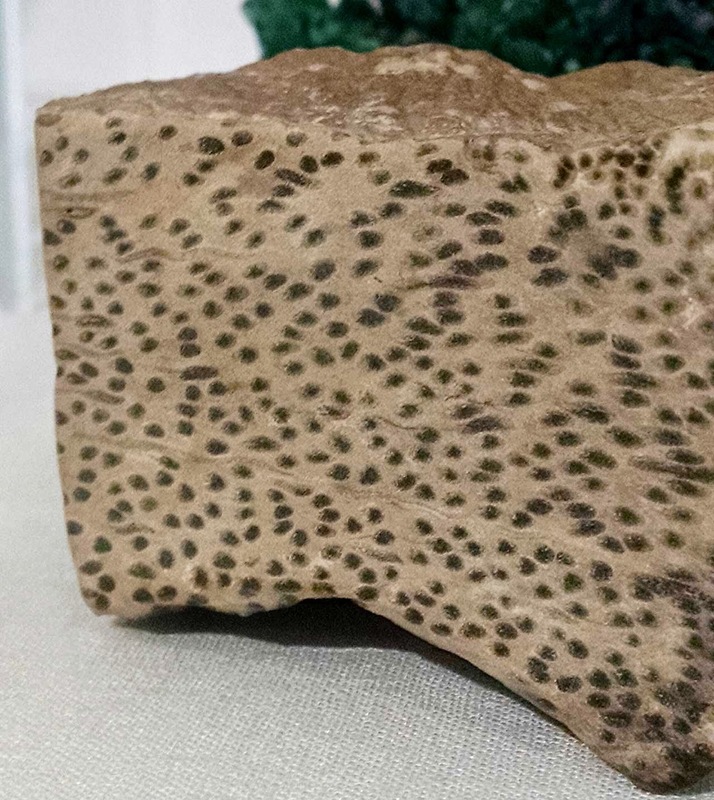 While visiting the Gallery of Natural History at the Arizona Historical Society Museum at Papago Park (1300 N. College Ave, Tempe Arizona 85281) I saw fossil specimen (AHS-NH#9854) Clypeus plotii (Leske, 1778) sea urchin fossil. This creature existed in the Jurassic Period (Bajocian to Oxfordian). They were found in what is now Europe and North Africa. 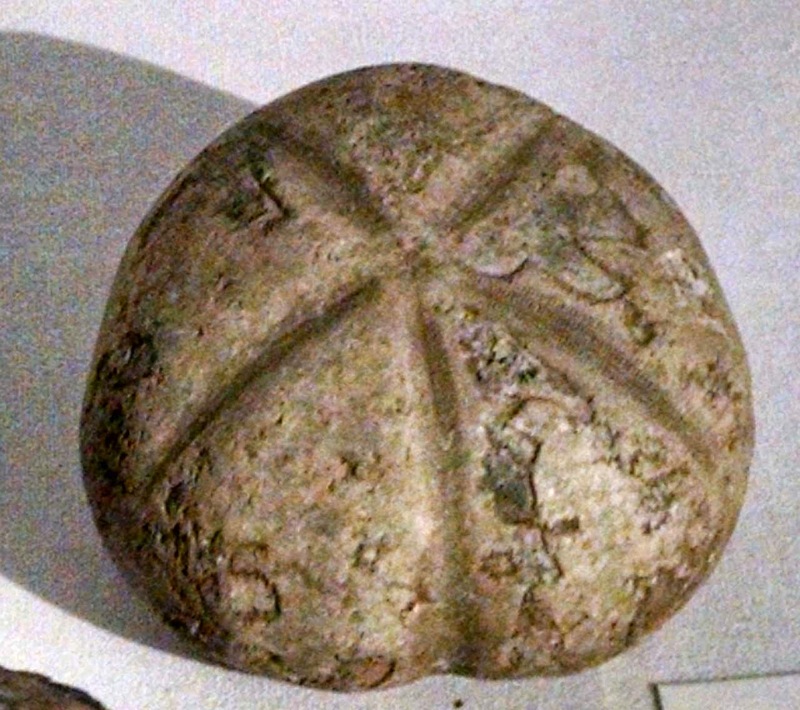 Here is a picture of a Sphaeurilitides (Cusman) fossil at the Museo di Paleontologia at Sapienza University of Rome Italy. It was found in the Alps. This picture shows a Mytilus edulis (Gray, 1847) marine bivalve mollusc at the Museo di Paleontologia at Sapienza University of Rome Italy. Creatures like this exist in today's oceans. 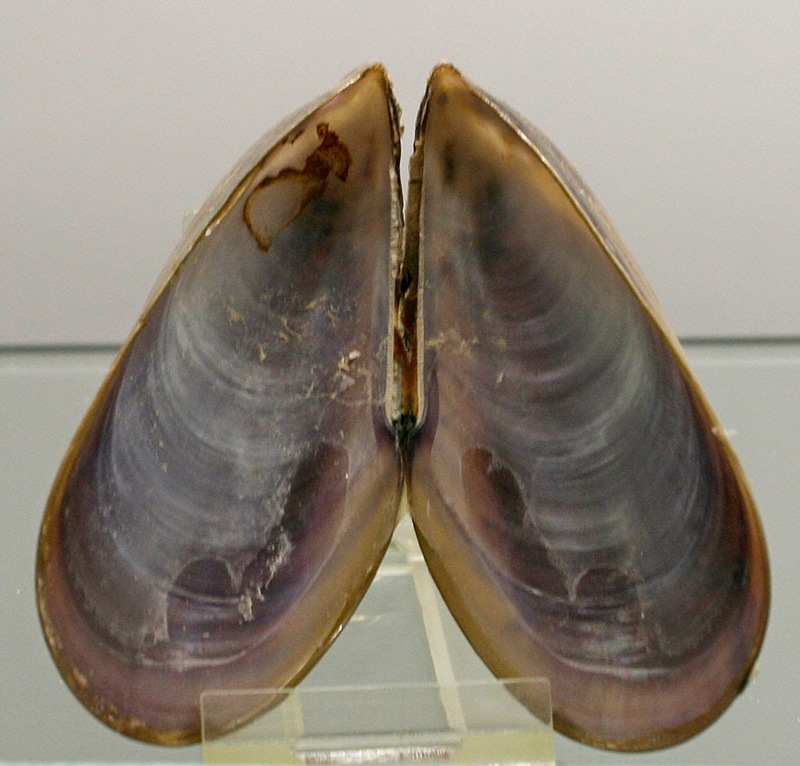 It is also known as the blue or common mussel. 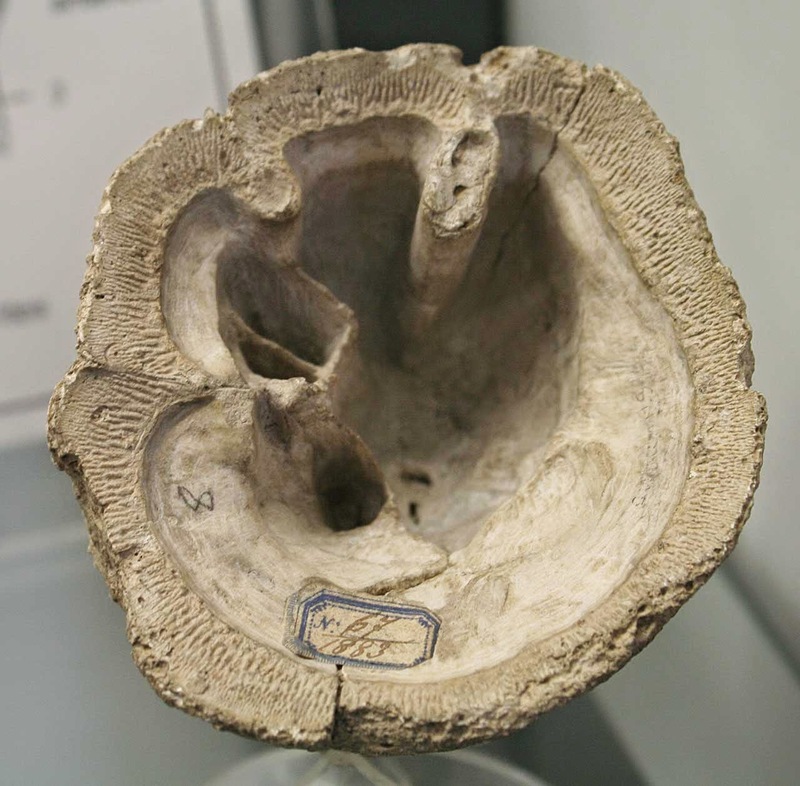 This image shows a Hippurites (Lamarck, 1801) marine bivalve mollusk fossil at the Museo di Paleontologia at Sapienza University of Rome Italy. Creatures like this existed in Late Cretaceous oceans. Images taken in June 2014. 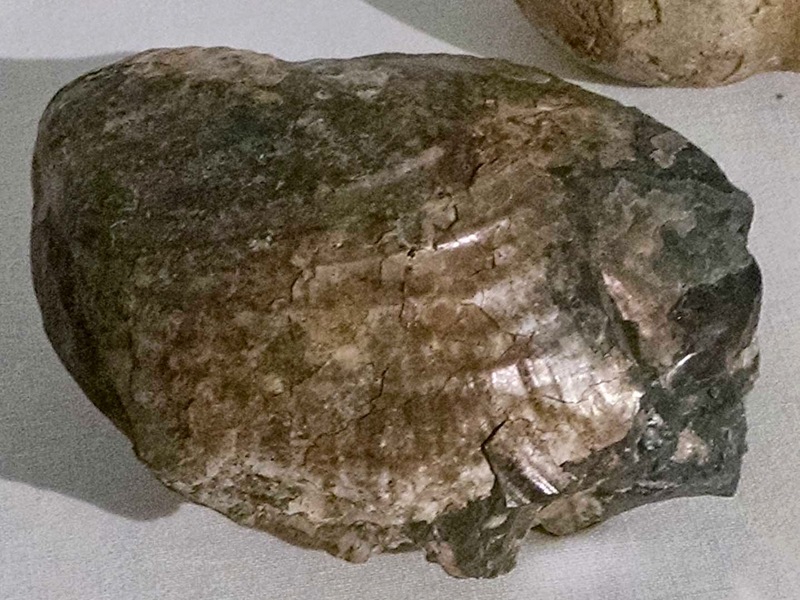 Here is a picture of a Parvamussium cristatellum (Dautzenberg & Bavay, 1912) bivalve fossil at the Museo di Paleontologia at Sapienza University of Rome Italy. Creatures like this existed in the Miocene Epoch of Neogene Period. 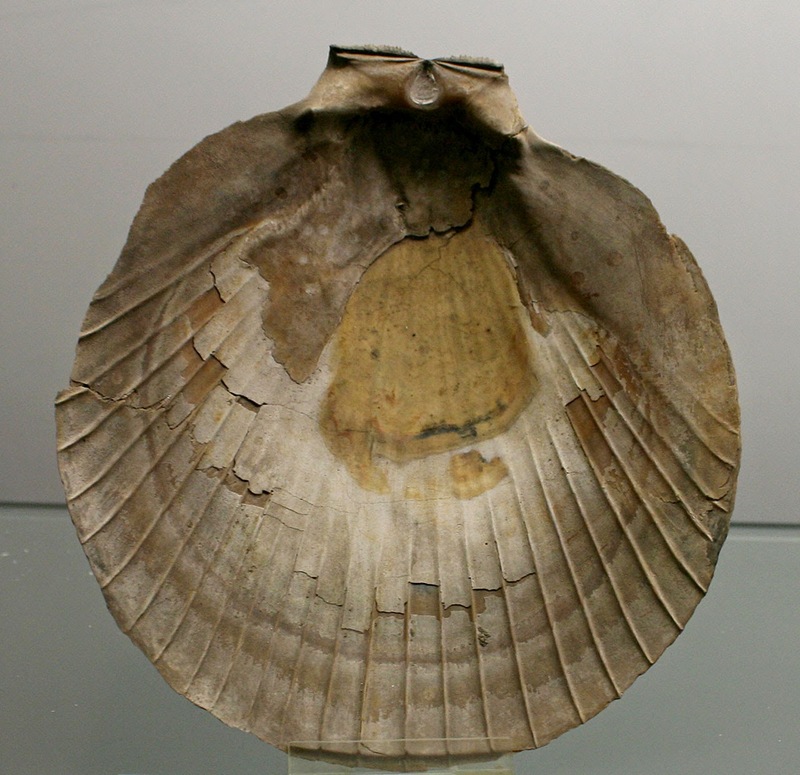 At the museum it was labeled as Amussium cristatum aka Pecten cristatum (Bavay, 1905). 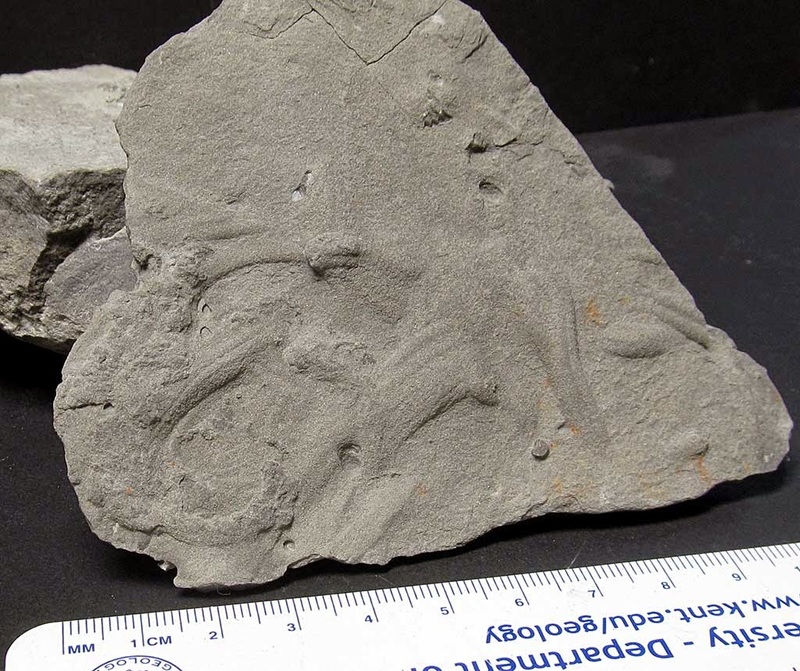 Here are some pictures of trace fossils found recently (October 2014) in Maysville, Kentucky, USA. The Upper Ordovician Period formations found there are Grant Lake (Maysvillian) and Bull Fork (Richmondian). During my visit to the Gallery of Natural History at the Arizona Historical Society Museum at Papago Park (1300 N. College Ave, Tempe Arizona 85281) I saw fossil specimen (AHS-NH#14891) from Yavapai County, Arizona USA. 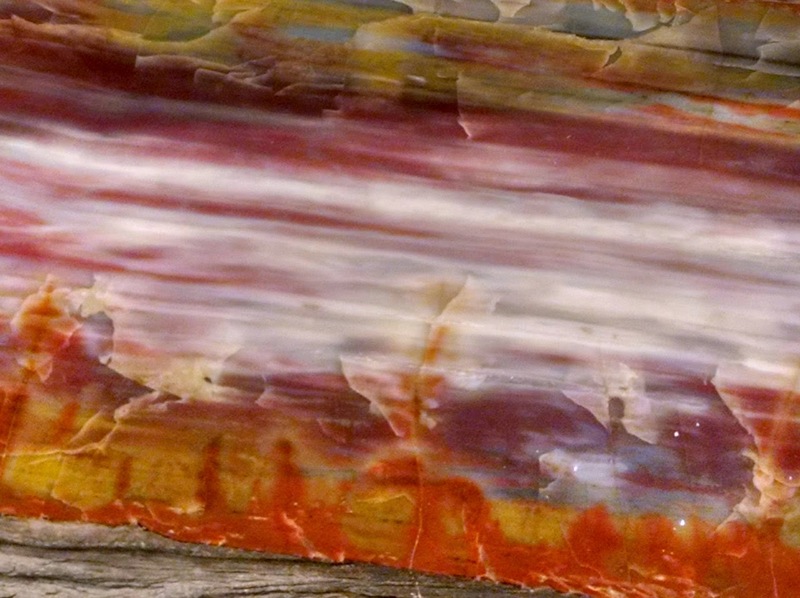 It is a polished palm tree fossil.